I think if I had to choose from these I’d choose Stiletto however in general I prefer them more oval..
Lol. That’s funny! Are you still currently in school? No I actually finished this week!! Wow. Congrats! I finished in March this year on my wedding anniversary. 🙂 I pray that it was all you expected it to be. Squoval. Only because they look better to me. I would love to try stiletto nails. 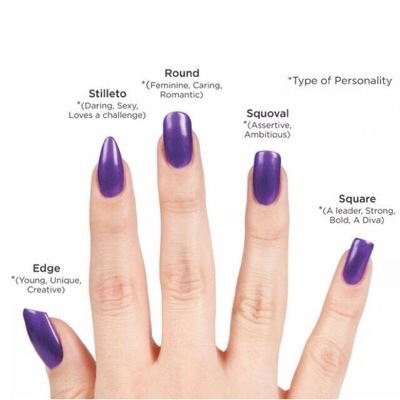 Yeh squoval are really nice, I used to wear my nails that shape all the time!